NEW YORK (WABC) -- The NYC Health Department is set to spray for mosquitoes in parts of Manhattan and Queens on Wednesday, August 17th. This is an attempt to reduce and hopefully prevent mosquito activity and the risk of the Zika virus and West Nile Virus. If there is bad weather, the application will be delayed until Thursday, August 18th. 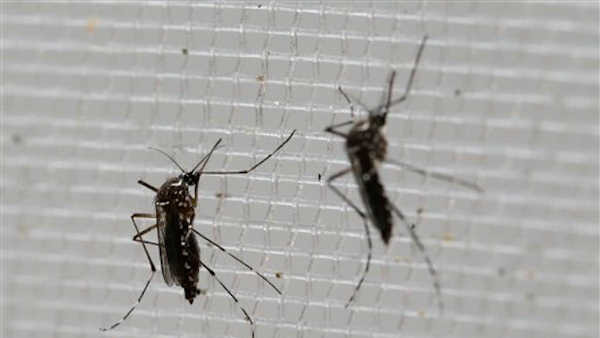 The Manhattan and Queens neighborhoods listed on their website are being treated with adulticide due to a significant presence of Aedes albopictus, or Asian tiger mosquitoes, in traps set by the Health Department. The Zika virus has not been found in any mosquito in New York City. Aedes aegypti, a cousin to Aedes albopictus which has never been found in New York City, is responsible for the current outbreak. As part of its aggressive three-year, 21 million plan to protect New Yorkers from Zika, the Health Department will spray pesticide in areas where the mosquitoes are found in significant numbers as a precaution. The Department remains cautiously optimistic that Zika virus will not be found in mosquitoes in New York City. "While we do not expect to find Zika in New York City's mosquitoes, we are taking no chances. We are moving forward with a safe but aggressive plan to spray pesticide when we find significant numbers of mosquitoes that could possibly carry Zika," said Health Commissioner Dr. Mary T. Bassett. "New Yorkers should continue to enjoy outdoor activities this summer while taking the usual precautions against mosquitoes, including wearing repellant and reporting standing water to 311." For more information, or to know if your neighborhood is on the list, visit the NYC Health Department's website.